are wont to roost them, under every leaf close-clinging. Choose willow of the burn, choose hazel of the rock, choose alder of the bog, choose birch of the waterfall, choose ash of the shade, choose yew of the resilience, chose elm of the braes, choose oak of the sun. Botanical Name: Ulmus rubra, Ulumus fulva, Ulmus pumila, Ulmus glabra, and allied mucilaginous species. Actions: Demulcent, sl. astringent, expectorant, drawing agent, nutritive, relaxant nervine. Resilient, rot resistant, and strong, the Elm has played an important part in the lives of people in both Europe and North America, from the making of Welsh bows to shipbuilding materials to being hollowed out for water pipes in early plumbing to the Dancing Elms of Devon that were used during May Day dances. One species native to the British Isles is called, Ulmus glabra, is common known as the Wych Elm, and the term Wych comes from the Old English wice, meaning pliant, refers to the tree material’s “bendability” and suppleness, which is part of why it was considered so ideal as a material for bows in Wales. The tree has sometimes been associated with melancholy, grieving, and death in the British Isles and in Greece, and has a history of being used to build coffins from. Elm has also played an important part in medicine in Western culture. While many of us in the United States think only of Slippery Elm, Ulmus rubra, as an herb, many species in Europe and beyond are traditional parts of the pharmacopeia. In Traditional Chinese Medicine alone, at least four different species are used as medicine, including Lang Yu Pi, Ulmus parviflora, and Yu Shu, Ulmus pumila. The latter being a very common introduced tree in much of the western United States. One of the greatest tragedies to befall the plant world has been the enormous loss of life due to Dutch Elm disease. Millions upon millions of Elms have sickened and died in the last century, and even now the disease continues to spread across Europe, North America, New Zealand, and beyond. Dutch Elm Disease is a vascular wilt disease, most commonly caused by the fungus Ophiostoma novo-ulmi in the North America and Western Europe at this point in time, and spread by the elm bark beetle. The first signs of infection generally include yellowing and wilting of leaves on individual branches. Initially, they may impact only one part of the tree’s crown, but eventually, whether months or years, the tree will die. The pathogen acts by preventing fluids and nutrients from reaching the extremities of the tree, causing death by starvation to the elm by blocking sap transmission. The fungi overwinters in the bark and outer wood of infected and recently killed trees, and even in elm logs. The European elm beetle and the American elm beetle both nest in dead or dying elm wood, and hatch their larvae there. Once the larvae have matured, they then feed on the wood, and consequently distribute to the Dutch Elm Disease spores to other trees, and spread the disease. These spore-contaminated beetles seem to be the most common way the disease is spread, but root grafting between individual trees is another method of transmitting the pathology. Dutch Elm Disease is believed to have originated in the Himalayas, and spread to Europe by way of the Dutch East Indies in the late 1800‘s. The first species of Dutch Elm Disease, Ophiostoma ulmi to impact Europe and North America, was originally found in northwest Europe around 1910 and spread to Britain by the 20‘s. It was far less virulent than the current species but did cause fatalities of 10-40% of the Elms in the European countries it was found in. By the 1940’s, the worst of the epidemic had passed, and many were optimistic that the elms would then be able to recover and re-proliferate. However, in 1968, elm logs infected with the new strain of the disease, O. nova-ulmi, were transported from Canada to England and consequently rapidly infected the native elms there. In 1976, it finally found its way to Scotland, and in the 1980’s it moved into the highlands and it continues to spread northwards across the country. In Britain alone, more than 25 million elms have been lost since the 70’s, and in Edinburgh,30,000 out of the original 35,000 Wych Elms have succumbed to Dutch Elm Disease after nearly 9,000 years of thriving in Scotland. In the United States, we have lost 70% of all our mature elms since the 1930’s. The last few years have seen severe outbreaks in locations as far flung as New Zealand, which suffered an epidemic of the disease just this year in 2013. A very small proportion of trees appear to demonstrate some immunity to the disease. Additionally, some East Asian species, such as Ulmus pumila, seem naturally resistant to the disease. American and European organizations have been working for decades on creating resistant cultivars, in addition to using insecticides and other chemicals to attempt to suppress the disease. Sanitary pruning and destroying of infected trees is also in use in affected areas, but all of these approaches have thus far not stopped to the spread of Dutch Elm Disease. Unfortunately, some of the chemicals used in the war against Dutch Elm Disease have even resulted in numerous species of birds being harmed and killed by the very substances meant to save the trees. Scientists in British universities have also been experimenting with genetic modification to try to create trees entirely immune to the disease, but as with all GM projects, there’s simply no telling what the results will be in the long term. Please exercise both caution and compassion when harvesting and working with Elm trees medicinally. Be aware that Ulmus rubra has been the victim of both overharvesting and of Dutch Elm Disease, while it seems to be somewhat more resistant to the fungus than other native American elms, it’s still frequently sickened and killed by it, and is also especially vulnerable to predation by the elm leaf beetle. If you buy Elm bark, please be sure to buy it from a source that specifies that it has been cultivated, not wildcrafted, so as not to further existing sustainability issues. Nearly everything written about the medicinal properties of Elm in the United States refers specifically to Slippery Elm. However, this is not the only medicinal species in the world, or even in this country. I’ve had a few people in classes express total disbelief that any other species could be even remotely analogous to the revered Slippery Elm, but as per my usual, I explicitly encourage everyone to try it for themselves instead of taking my word for it. Not all Ulmus species will fit the bill, but the test is a fairly simple one. If you slice a bit of bark off a branch or twig, and then apply a bit of water to it and it creates long strings of slippery mucilage, that’s one clue. The next is if you taste the bark and it’s bland, a bit sweet, and slightly astringent. If all of these things are true, you can move on to trying that species in place of Slippery Elm, and you’re likely to have very good results. I think it’s especially important to find a variety of species within the genus that can work effectively for medicine given the prevalence of Dutch Elm Disease. Not all species are hit equally hard by the disease, and the ones struggling to survive are likely best left to try to heal and survive, rather than being harvested from, especially those in the wild. The Elm I use most often is referred to as Siberian Elm, or Ulmus pumila, a native of eastern Asia that has gone rather invasive in the US. It's considered one of the quickest growing hedge plants available, and it certainly can shoot up out of nowhere even in the semi-arid lands of the SW mountains. Incredibly drought resistant, it can out compete most native plants for water and ground space, and quickly colonizes roadsides, disturbed areas and yards. According to my research, it grows from Utah to Kansas, and north to Ontario, giving it a large range in the Southwest, Midwest and Great Plains. And the USDA map says it grows in nearly every state in the US, with only two or three exceptions, as well as through much of Canada. Because of these conflicting sources, I'm not actually clear on where exactly its range extends to, but I do know that it is common throughout the mountainous SW and Rocky Mountains. It can grow from 50-70 feet, which is funny since pumila seems to mean dwarf. While I don't recommend cultivating this Elm where it could become invasive and detrimental to local ecology, I do think that it would a wonderful plant for nearly everyone to regularly use. U. pumila generally possesses all the wonderful qualities ascribed to Slippery Elm, being incredibly mucilaginous, soothing, healing and preservative in nature. 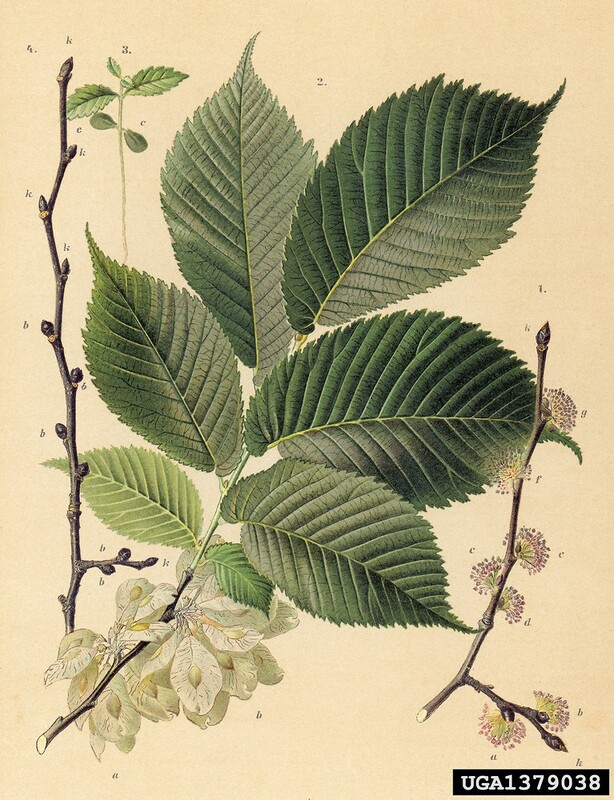 I use it in the same sorts of preparations Slippery Elm is known for, including salves, infusions, lozenges, food (as a thickener and general nutritive agent) and as a poultice. Much of Elm’s healing properties have to do with the copious amounts of mucilage it contains, making it very suitable in the treatment of any affliction characterized by inflammation and dryness. This can include bronchitis, ulcers, all manner of hot-natured belly problems, sore throat, UTIs (urinary tract infections), and constitutional dryness resulting in systemic inflammation. The gruel made with powdered bark is very nutritious and ideal for a weakened digestive system. Topically, the powdered bark of an infusion made with the bark is soothing, very healing and helps to draw boils and splinters out. The infused oil helps to preserve other oils and makes a great salve for irritated, abraded skin conditions. It’s exceptionally useful as a demulcent partly because of its neutral temperature which won’t aggravate a cold constitution. There are a whole lot of people out there with cold, dry constitutions that need a big dose of a demulcent herb but can’t use Mallow because of how cooling it is. Elm powder can be added to oatmeal or something similar and eaten straight or it can be added to your daily nourishing infusion and sipped slowly through the day. Elm is appropriate for both chronic and acute conditions, with two symptom patterns standing out as most indicative. Elm specifically excels at lessening inflammation and excitation of the tissues. We often think of soothing herbs as those that are so mild as to verge on useless for any serious condition, and Elm is an excellent plant for correcting that flawed mindset. Elm is gentle enough for internal use by weakened infants or elders, but a powerful enough healer that it is often invaluable in acute injuries and severe chronic conditions where inflammation and heat from overexcitement of the tissue is a significant factor. While not commonly thought of as a nervine, Elm’s relaxing and moistening qualities can indeed calm a manic, agitated state in those who have symptoms of dryness, malnourishment, and heat. It’s important to remember that the nervous system can be impacted through any other system in the body, and certainly by the overall tissue state. In folks who are perpetually dried out and have signs of inflammation, agitation can stem directly from constitutional dryness, especially in the mucosa. Addressing that dryness can result in a marked improvement, sometimes almost immediately. Wherever the mucosa is hot, sensitive and painful, Elm can most likely be of use. I’ve frequently used it in formulas for gastric ulcers and other irritated gut conditions, such as healing after removing a food intolerance. The mild astringency Elm tends to demonstrate is of great value here as well, tightening the tissues, reducing inflammation, helping to prevent infection, while soothing and nourishing. This is true both topically and systemically. Elm bark, along with Mallow root, powder frequently makes up most of the base of the pastilles I make for sore throats. It also makes a soothing mouthwash for mouth ulcers, burns, and hot, irritated conditions of the mouth and throat mucosa. Like Mallow, Elm seems to have a systemic reflex action upon the body’s mucosa, meaning that when taken internally it cause a system wide moistening effect even though it’s not actually touching the tissues topically. This is excellent, since huffing or snorting Elm bark powder to soothe hot, dry lung or sinus mucosa would likely be both unpleasant and harmful. Because of this reflex action, a gruel or infusion of Elm bark will moisten the mucosa throughout the body, including the urinary tract and respiratory system, allowing the herb to have a soothing effect on inflamed, painful tissue. Urinary tract infections accompanied by sensations of burning and scanty urination can be soothed by an infusion of Elm bark, and can help provide immediate relief while anti-microbial herbs work on addressing the actual infection. Similarly, Elm can be very useful for hot, dry bronchitis, sinus infections, smoke inhalation, and even some cases of pneumonia. The other pattern and tissue state that elm is specifically appropriate for is tissue atrophy, particularly when recovering from a weakening illness, an ongoing severe illness such as cancer, or chronic malnutrition. This is especially true where the illness is related to digestive issues that have reduced absorption of nutrients. I have seen terminally ill cancer patients in the last stages who otherwise cannot seem to digest anything given them, be able to eat and absorb elm bark powder gruel with relative ease. I consider it a very important herb, along with Marshmallow root, in the treatment of those dealing with radiation and chemotherapy and the accompanying nausea, digestive upset, overall dried out tissues, and nervous exhaustion. I also find it very useful for folks dealing with inflammatory bowel disease, recovering from food intolerance related irritable bowel syndrome, or simply dealing with a lingering case of the stomach flu. If oats are well tolerated, it often works to stir either a bit (start with 1-3 teaspoons) of the bark powder or to add a bit of concentrated elm bark infusion to the oatmeal before consuming. Not only does it provide nutrition, but it also lessens inflammation and pain in the gut, often within about an hour, sometimes more quickly, depending on where in the gut the inflammation is most concentrated. While many folks don’t necessarily think of Elm as an external medicine right off, it certainly is useful that way. Historically, it has been well known for its use in healing wounds and injuries, but now seems to have fallen out of favor for this use in North American herbalism. For example, the bark has traditionally used in the north of Ireland as a salve and throughout rural countryside of that country as a topical medicine for many sort of inflammations and swellings. Elm is an excellent topical medicine for almost any injury accompanied by swelling, inflammation, and damaged tissues. I frequently combine elm with Solomon’s Seal root, Comfrey leaf or root, Mullein root, Goldenrod flowers, and resinous Cottonwood buds for a general joint liniment. This is extremely helpful in reducing pain and trauma and speeding healing to all sorts of joint injuries, including recovering from ACL surgery or in conjunction with physical therapy for other join injuries such as rotator cuff strain. I have even used it in formulae for slow healing fractures with good results, especially when combined with something warming and stimulating to local blood flow, such as Cottonwood buds. Elm bark doesn’t tincture too well with all the mucilage, as you can imagine, it wants to precipitate right out. Infuses very well into oil though. Mostly, I use the dried bark in either powder form or chunks of bark or bits of twigs for internal use. It’s very stable and lasts at least several years. It can be made into cold or hot infusions (both nice and slimy) or the powder can be added to food or taken straight with a bit of water or milk. The powder also makes great, slippery honey pastilles for sore throats and other mouth/throat inflammations. Externally, it works well infused into oil for salves, as a cold water foment, or as a simple poultice. Not necessarily for frequent internal use by those who already suffer from excess moisture, as per thick, copious white mucus and chronic congestion, among other kapha like symptoms.